It's been just shy of a year since Playmobil announced the first expansion to it's Ghostbusters product line, and fans will once again be treated to more sets based on the boys in grey in the near future. 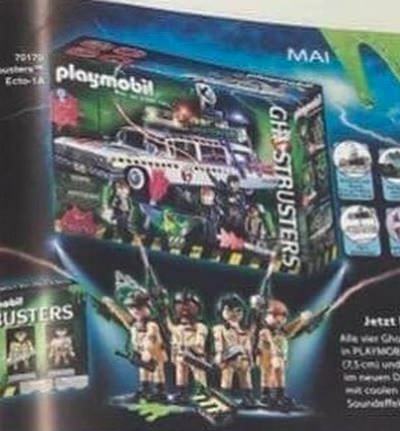 A scan from a German copy of the Playmobil catelogue has revealed that the toy company will be producing a replica of the Ecto-1A, a box set containing all four Ghostbusters, and a set of individually-packaged 6inch tall (twice the normal size) versions of the four Ghostbusters - similar to Funko Playmobil figures released a few years ago. The figures and car are expected to be released in May 2019. Details are limited at this time, we will update this story when more becomes available. This will go nicely with my Ecto 1. A detailed, yet simplistic version of my favorite Ecto. 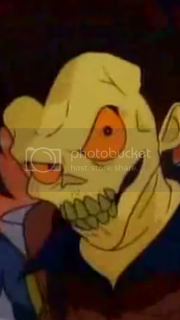 And I just bought an extra GB2 Slimeblower Winston to customize to a Slimerblower Ray.